About 15 years ago a small group of people got together and organized the Interfaith Committee of Remembrance, to celebrate life by honoring the memory of 6 million men, women and children that were killed simply because they were Jews. As a child survivor, I want to make sure that we do not allow the Holocaust, the greatest crime in the history of humankind, to recede into history and that history does not repeat itself. Through a series of Concerts/Events consisting of orchestral and choral works, cantatas, poetry and dramatic readings, we present music and art that was written about the Holocaust. We believe that using music as an international language, the barriers that separate people and create diverse cultures can be reached. 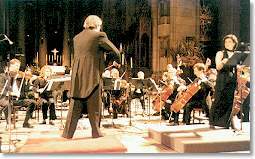 We have presented memorable Concerts/Events, both at the Cathedral of St. John the Divine and at the Temple Emanu-El in the New York City. All our concerts are free to the general public. We are a non-profit organization and depend on individual contributions to be able to present these events. We receive no public funds or major foundation support. We do not pay for office, staff, telephone, etc. we depend on contributions from individuals or groups like yours. We have produced a CD recording of Ronald Senator's Kaddish for Terezin, which ICOR has premiered in its first concert with Ron Silver narrating. 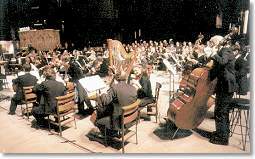 The CD recording, with the Moscow Philharmonic, is distributed under the Delos label recording number DE1031. We have co-produced a play based on Isabela Leitner Auschwitz memoir, Fragments of Isabella. The world premiere on May 8, 1993, to coincide with the Victory Day celebrations of the defeat of Nazi Germany in 1945 had an enormous success in St. Petersburg, Russia and left a moving audience in tears. ICOR offers its services to any group House of Worship, to help in establishing a Holocaust Memorial anywhere in the USA. We are presently assisting Congregation Beth Israel in Greenville, S.C.
We are endorsed by a broad spectrum of religious, political and artistic communities, and we hope to continue our task of presenting these Concerts/Events to future generations.